Corporatization is changing the world of petcare, and our pets are paying the price. There’s no doubt that the quality of petcare has improved drastically in recent years. However, an emerging trend is threatening to undo all of the amazing progress we’ve made over the past several decades. The perpetrator? Big business. Whereas most veterinary practices used to be run by individual providers, more and more corporations are seeing petcare as an opportunity to turn a profit off of people’s love for their pets. In fact, according to Bloomberg contributor Jason Clenfield, “corporations now own 15 to 20 percent of America’s 26,000 pet hospitals,” and consolidators are buying them up at breakneck speed. 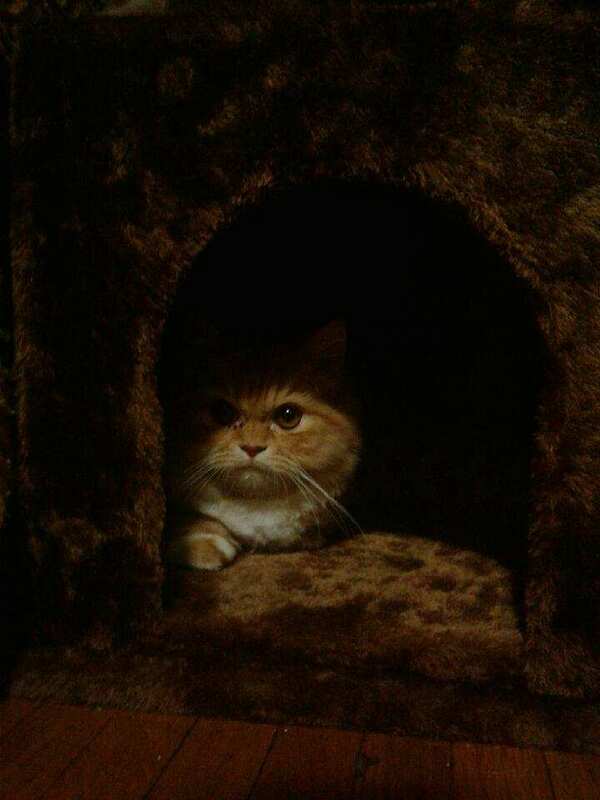 The cat’s out of the bag! 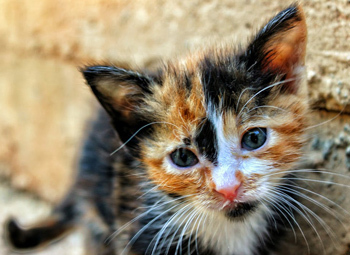 Here’s the lowdown on basic kitten care. As Abraham Lincoln once said, “no matter how much cats fight, there always seem to be kittens.” If you’re thinking about bringing one of these furry bundles of joy into your heart and home, here’s what you need to know. Just like any other newborn, brand new kittens need plenty of tender loving kitten care. If you’re raising the litter yourself, remember that kittens need much more attention and energy than their adult counterparts. 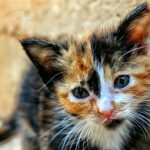 Newborns will need to nurse fairly regularly (usually every 1-2 hours), although after around 3 or 4 weeks they can be weaned onto milk replacers and store-bought kitten foods. In addition to constant feeding, they also need constant attention. In order to teach them how to play well with others, try to make sure your kittens are socializing for at least a few hours a day. To ensure your pet’s well-being for years to come, it’s crucial to plan ahead. When it comes to long-term pet health, there’s no replacing an annual checkup with a veterinarian. But in the time between visits, conscientious pet owners can look after their pet’s physical and mental health by practicing effective preventative care. Doing so will help prevent disease — and reduce the possibility of unexpected medical bills. Read on to learn more about how proper pet care practices will allow you to keep your trusty companion healthy and your veterinary costs low. Let’s start with the most important element of preventative care: regular checkups with the veterinarian. At your pet’s annual visit, the vet will go over the essentials: nutrition, weight control, dental exams, health screenings, and vaccinations. However, the biggest benefit of regular checkups is that your vet can detect common health issues before they become bigger problems. Urban living and pet ownership don’t have to be mutually exclusive. Here are our tips for keeping your furry friends happy and healthy in the big city. Owning a pet in the city requires a few logistical considerations that might not apply for more spacious environments. If you do decide to adopt a furry roommate, you must take the necessary steps to ensure that he’s safe and satisfied in his surroundings — here are a few of the most crucial items to tick off your list. Think your dog can’t get into trouble in a 500-square-foot apartment? Think again. First, ensure that you are not harboring any houseplants that could be harmful if ingested. Jade, aloe vera, and rosemary can pose a particular threat. Be sure to check in with a vet for a longer list of potentially dangerous and common household plants. While removing potentially harmful items from your apartment is relatively straightforward, you may face another challenge that’s a bit more difficult to address: a lack of space. 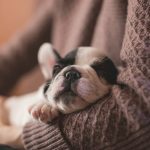 While you may not be able to move into a larger apartment just for Fido, you can learn to cohabit peacefully in your tight quarters. For city dogs, proper crate-training is key to keep your dog (and your apartment) safe while you’re out and about. Make your pup comfortable by giving them a bed, some water, and a toy or two — in fact, if handled correctly, you can teach a dog to think of their crate as a safe and happy place, rather than as a punishment. So you and your dog are getting along just great — but what about your neighbors? If at all possible, try to choose an apartment with a friendly policy towards pets, so that your dog will have plenty of canine company — and you’ll be able to enjoy the camaraderie of fellow dog owners. Then, with your very thin, shared apartment walls in mind, you’ll want to minimize the possibility of any pet-related disturbances. 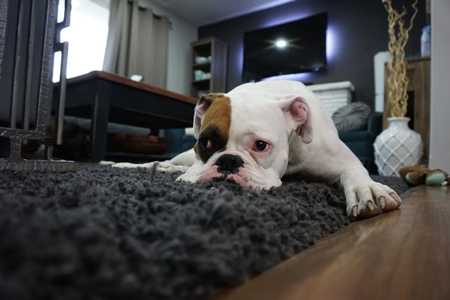 The sound of a dog running back and forth across the floorboards could very well drive neighbors up the wall, so opt for densely woolen rugs that insulate noise and can withstand wear and tear. Lonely pups also have a tendency to express their discontent with vocal yowls (which may not be very popular with your neighbors). In order to avoid this, maintain your pet’s high spirits with regular exercise and proper socialization. Everyone knows that keeping a dog healthy requires regular fresh air and exercise. 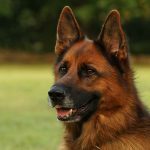 However, without the luxury of spacious, fenced-in yards, urban pet owners must take a more proactive approach to keeping their dogs fit and happy. Many community parks feature “dog runs,” where local owners are able to unleash their pets and encourage them to socialize with fellow canine friends. Before taking your dog to public parks, however, you may need to obtain proof of vaccinations from your vet. For larger, more active breeds, long brisk walks or jogs in the park may be the best way to maintain your dog’s health — plus, it has the added benefit of keeping you healthy as well! If your schedule doesn’t allow for one or two walks during the workday, consider hiring a dog walker to help fill in the gaps. Keep in mind that, because most city dog walkers handle multiple dogs at once, you should make sure your dog is well-socialized and able to travel in groups. Doggie day care centers and pet spas are another great option for dogs with working owners. Many offer training, grooming, and health care for your pet, as well as numerous exercise and socialization opportunities. Before dropping your dog off for day care, research the requirements of the center, since most demand up-to-date vaccinations. Tour the facility to confirm it is a safe and suitable place for your pet’s needs, and leave emergency contact information with the administration. At University Animal Hospital in New York City, we have years of experience caring for urban pets. 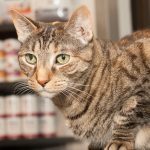 We offer dog and cat boarding services at our Upper East Side location, with a vet on-premises 24 hours a day for medical care and supervision. Our staff will also take your dog out for a walk three times a day, with additional outdoor playtime in our cage-free area. You can trust us to take attentive care of your dog while you’re at the office or away on vacation, ensuring that your beloved pet returns home well-rested, well-exercised, and well-fed. The summer heat in New York City is really kicking into high gear. 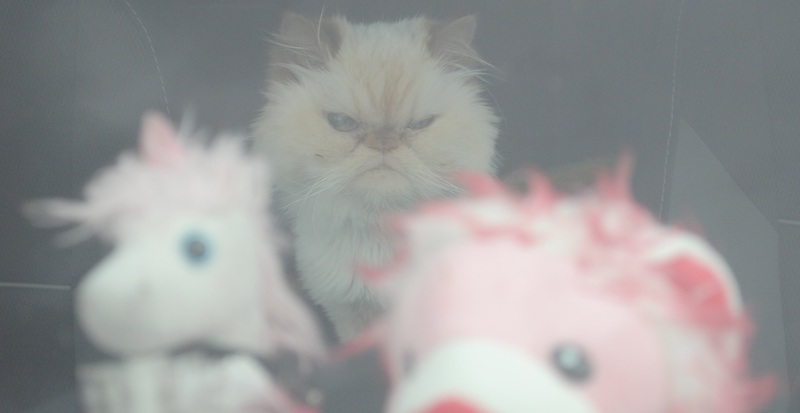 With record heat waves scorching the city and making all of us reconsider even stepping outside there are some that feel the effects of the harsh sun’s rays far worse than we do — our furry children. Both cats and dogs are at risk of overheating as our city roasts like a rotisserie chicken. Cats typically because they’re confined inside baking apartments or homes that often lack suitable air-conditioning when owners are not present and dogs because they’re walking in the intense heat — lacking a sufficient way of naturally cooling themselves. Dogs are particularly susceptible to the effects of the heat. Heatstroke for canines is dangerous and likely when dealing with temperatures over 100 degrees. Dogs do not sweat through their skin like we do so the heat is much more uncomfortable and dangerous for them. I just read an article this morning about a police dog in Texas that died in the line of duty from heatstroke while pursuing a suspect. It’s a real threat and something people sometimes overlook or forget about. Signs of heatstroke to look out for include: excessive panting (a natural way dogs cool themselves down), drooling, increased salivation, restlessness and other signs of agitation. There are, fortunately, actions pet owners can take in order to help with the dangerous heat that might make these summer months a bit safer for your fuzzy child. Many people have taken to carrying around a spray bottle when they walk their dog in order to give a relieving cool mist on the face or belly. Consider carrying a collapsible water cup and water to decrease the risk of potential dehydration. Look into obtaining booties to protect his or her pads on the hot pavement and sidewalks. It may seem odd to look at but have you wondered what it might feel like to go barefoot on the Manhattan streets in the blazing heat? Your dog isn’t too concerned with how he looks to strangers (you shouldn’t be either) and avoiding discomfort is probably much higher on his list of priorities. ARE THERE OTHER OPTIONS FOR STAVING OFF THE SUMMER HEAT? If your dog is pad/paper trained you should think about foregoing outside walks until the heat has died down. If outside walks are necessary take shorter relief walks as opposed to the usual jog or hour-long strolls. Pay close attention to your dog’s behavior when out and about so you can be aware of significant discomfort or distress. If your dog lays down in the shade or grass perhaps it’s time to head back inside. Take frequent breaks and try to walk in shaded areas or on grass whenever possible. Keep your home at a reasonable temperature even if you’re not there with your pet. People are often apprehensive about leaving the air-conditioner on when they aren’t home for fear of extreme electric bills. Keep the air conditioning at a level that’s safe for your stay-at-home pets but that won’t kill your energy bill. Make sure the water you leave out is cool and that the bowl is full. Consider dropping an ice cube in from time to time when you are home with them. Do not ever leave your dog in an unattended car for any period of time even if you think you’ll only be gone for a moment. In under ten minutes the inside of your car can reach temperatures of over 102 degrees so no amount of time in a car alone is acceptable or excusable. The most important thing to remember is that your dogs and cats can’t verbalize the discomfort that the summer heat bestows upon them. It is up to you to keep your eyes and ears open and look for the signs of distress or overheating. Be alert and present when you’re taking your walks and pay attention to the tiny details that your dog is giving you. The dangers of the heat are too great to risk and you know your fuzzy child is worth it. Last year I posted about some of the nightmares that can come out of the process of international pet travel. With the summer months here I thought it was a good time to revisit the topic. For starters, international pet travel can be a complicated scenario. Beyond all the stresses you have with traveling suddenly you are required to have documentation that’s specific to the country where you are going. This documentation might require proof of certain blood tests, proof of rabies vaccination by a specific time-frame, microchip information. It’s a hassle and there’s no getting around it. Importing your pet into another country means you are at the mercy of that particular country’s rules and regulations for pet transport. For reference, let’s take a look at France and their requirements for importing a cat or dog. Pet dogs, cats, and ferrets exported to a Member State of the European Union (EU) must be identified with a microchip compatible with ISO standard 11784 or 11785. If a microchip does not comply with ISO standards, the appropriate microchip reader must accompany the pet. 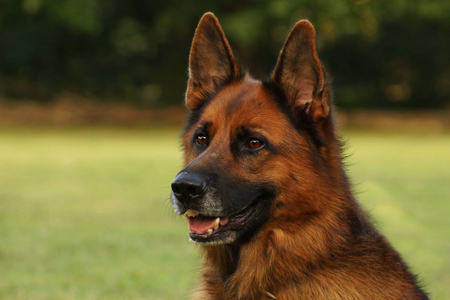 Alternately, if a non-ISO compatible microchip was implanted, and the client is unable to travel with a microchip reader, then the accredited veterinarian can implant an ISO-compatible microchip. The location and implant dates of both microchips must be documented on the health certificate. Microchip implantation (whether ISO-compatible or not) must occur prior to or on the same day as rabies vaccination. A rabies vaccination given prior to microchip implantation is considered invalid. If the valid rabies vaccination expires before the booster is given, then the pet must be revaccinated. In both situations, the new vaccination is now considered to be the “primary vaccination.” After a primary vaccination, the pet must wait 21 days before being eligible to enter the EU. Rabies vaccination is not required for pet dogs, cats and ferrets under 12 weeks (3 months) of age. Note that some EU Member States do not allow import of unvaccinated pets. Import of unvaccinated pets under 12 weeks of age must be authorized by the EU Member State. The exporter should contact the animal health authorities in the Member State for authorization, and documentation of authorization should be attached to the export certificate. All dogs, cats and ferrets over the age of 12 weeks must be vaccinated for rabies. Pet dogs, cats, and ferrets returning to the EU after traveling to the United States may be accompanied by an EU Pet Passport issued prior to leaving the EU. If a pet requires echinococcus treatment for travel to the UK, Ireland, Finland, Malta or Norway, the treatment may be entered in the Passport by an accredited veterinarian. An EU health certificate issued in the United States is not required, and APHIS should not endorse the Passport. If an animal needs a rabies booster while in the United States, this information cannot be entered into the EU Passport by a US veterinarian. 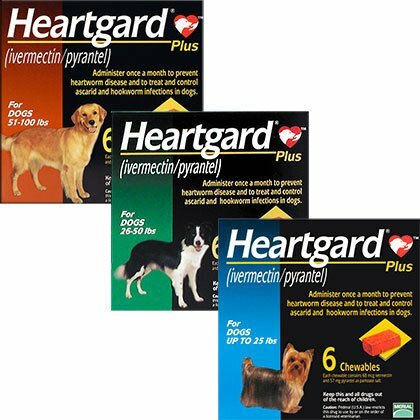 A regular EU health certificate must be issued by the U.S. accredited veterinarian and endorsed by APHIS. Does that seem a little complicated? It is. Fortunately the doctors here are experts at handling these documents and all of the treatments your fuzzy child might need in order to travel to the country of your choice. We handle hundreds of international health certificates each year and we take on the stress so you don’t have to. No matter where you travel you will need an international health certificate from a USDA certified veterinarian (all of the doctors at University Animal Hospital are USDA certified) stating that your pet is healthy and fit for travel. Many countries in Europe use a standard form for this but in some cases there are specific papers required for a specific country. Just a tip — don’t be fooled by websites trying to sell you these documents for a fee. They can usually be obtained from the USDA website free of charge. Beyond that there could be any number of requirements depending on the country of your destination. If you plan to travel with your pet call us to make an appointment with one of our expert veterinarians to take the stress away. Do not let the recent cold temperatures fool you. Spring is right around the corner. Any day now people will be wearing sandals and tank tops and the heat wave will soon be upon us. 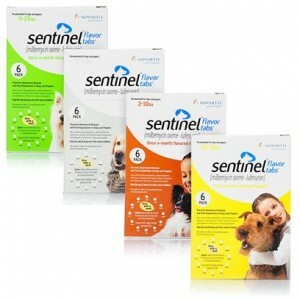 With that comes an increased risk that your dog or cat might be interacting with the dreaded parasites. The flea and tick problem. These little monsters are actually a year-round presence but they are far more prevalent in the warmer months of the year. That is why it’s so important for your pet to be on monthly flea and tick preventative all year round. Some of our clients at University Animal Hospital have downplayed the need for their pet to be on the flea and tick preventative. I’ve heard people say that fleas and ticks aren’t really an issue in Manhattan. This is simply not true. Fleas can live up to a year without feeding. Ticks like to hang out on the tops of blades of grass waiting to grab onto unsuspecting warm-blooded beings. You don’t need to leave the city to encounter these creeps. You can find them in plenty of places in New York City. I’ve run into ticks in a few of my apartments in Queens over the last several years. Twice in the month of December. The health concerns of your pet getting bit by a tick far outweighs any apprehension you should have about the medications. The products are very safe and very effective. It just depends where you get it from. Many pet stores and online pharmacies sell generic flea and tick medication that can be very harmful to your pet. In the cases where they have the actual product and not a cheap knock-off they are getting them through third party suppliers and not the manufacturer or a licensed distributor. Since this product is coming from a third party seller there is a risk that it is not being shipped and stored based on the manufacturers recommendations. This can leave the product ineffective and potentially harmful to your pet. You don’t really know what you’re getting. 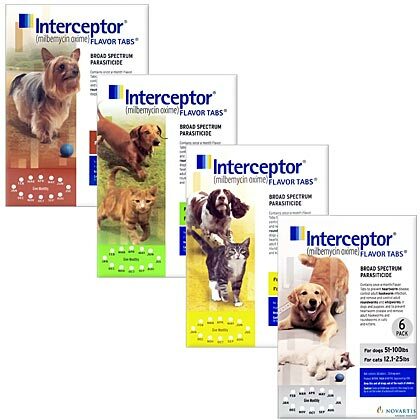 These online pharmacies also do not offer some of the rebates and freebies you get from buying the product from a licensed distributor (like University Animal Hospital.) 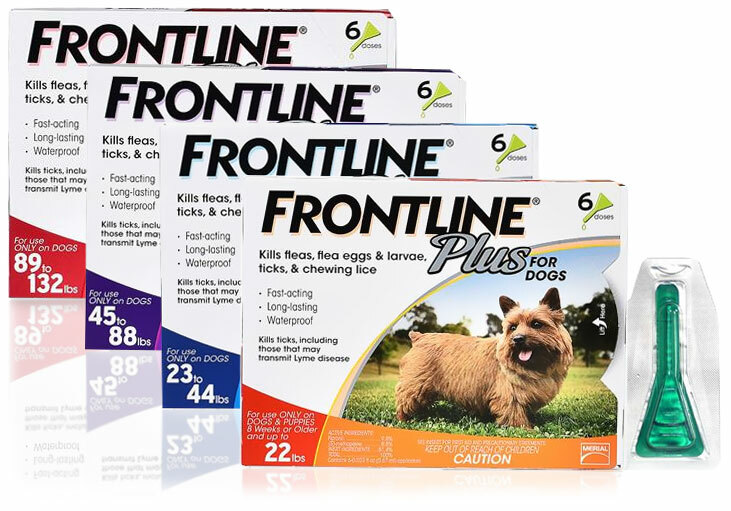 In our case we’re able to offer two free additional doses of Frontline Plus when a client purchases a pack of six. 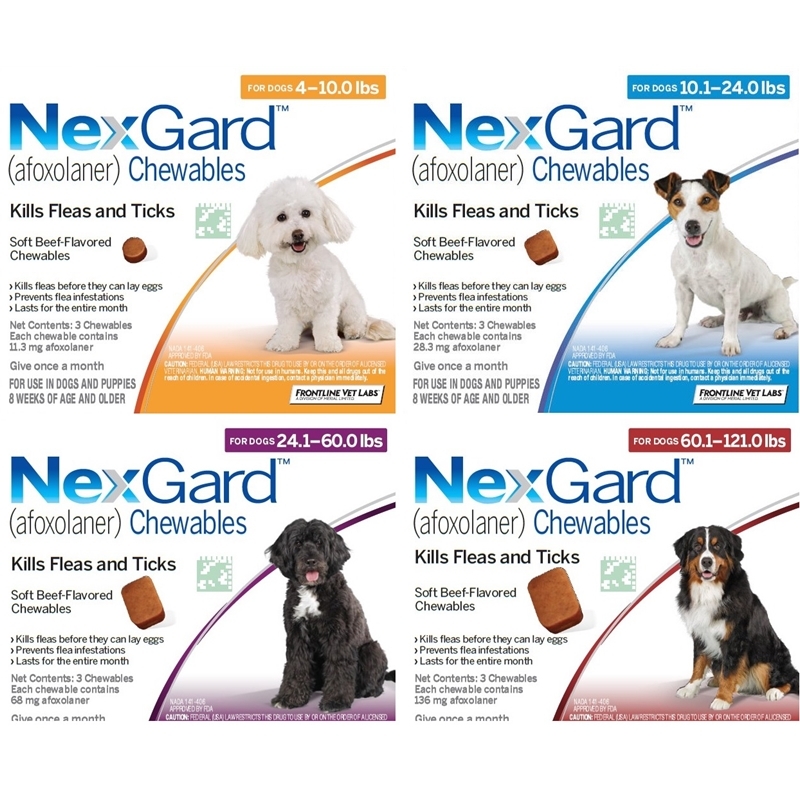 In the case of Nexgard we’re able to offer a free month worth of the medication. With Bravecto there are rebate coupons available that helps keep the cost of the medication manageable. The net down price of the free goods we’re able to offer our clients often-times makes our product considerably less expensive than one you’re buying online. There are three fantastic options for flea/tick preventative available at University Animal Hospital. What kind of flea and tick products are there? 1. 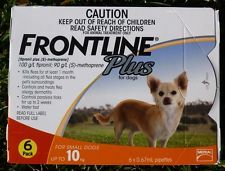 Frontline Plus. Chances are you’ve tried this before or have at least heard of it. It’s a topical that is placed on the skin of your pet (between the shoulder blades) once every month. This is a highly effective treatment. If purchased from University Animal Hospital you can get 8 months for the price of 6. Chew-ables are growing in popularity. 2. Nexgard. 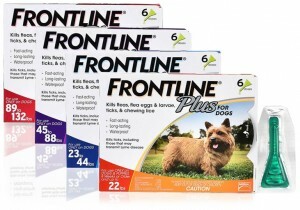 This is a once-a-month chew-able from the makers of Frontline that is just as effective — if not more. It’ s a chew-able treat and thus there is no chance the medication will rub off on your hands or come off if your pet gets wet. It’s also beef flavored so dogs tend to love them. If purchased from University Animal Hospital you can get 7 months for the price of 6. 3. Braveco. 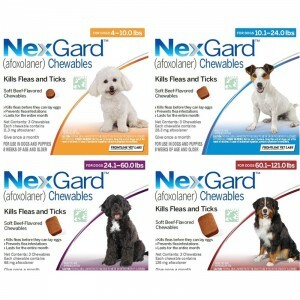 Like Nexgard this is chew-able but it only needs to be given every three months. That’s just four doses a year. If you buy multiple doses the rebate amounts increase.